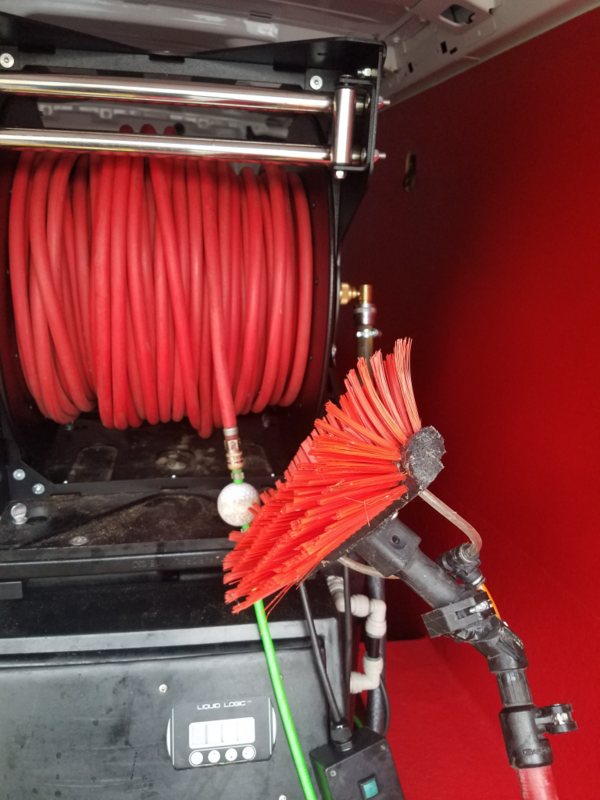 On our recent quest to guarantee a quality service, we have invested in a system that heats water to a temperature suitable for outdoor conditions; and which also is ideal for the cleaning of buildings many floors high. Where there may have been difficulty in scrubbing glass windows clean at such height with the waterfed pole reach and wash system, the heated water really helps to agitate such glass. Why Hot Water Window Cleaning? When we are window cleaning in Dunfermline, there are some commercial units that are impossible to reach by ladder. Using the purified water waterfed pole system is essential, however as I am sure you can imagine-windows many levels high are hard to clean. Using a hot water system increases the scrubbing power, and similarly to cleaning dishes at home, hot water simply cuts through dirt faster. 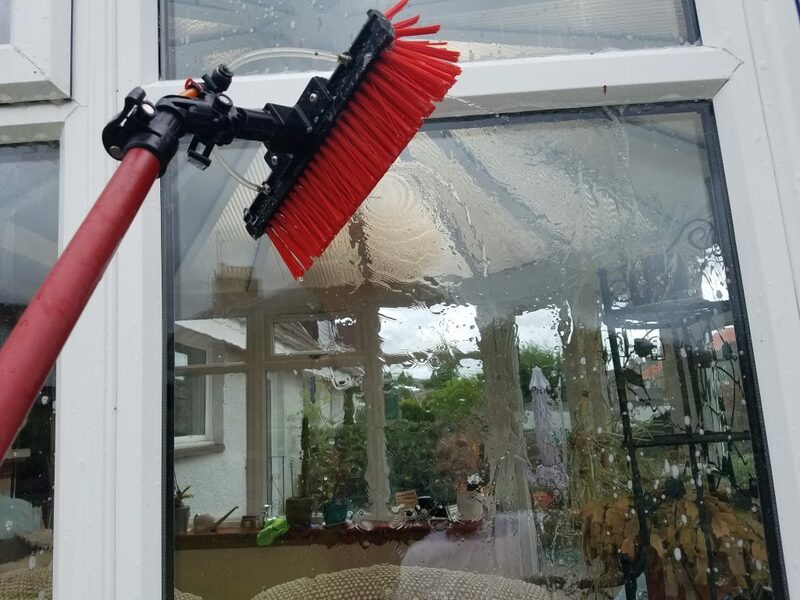 At www.fifewindowcleaningservices.co.uk there is mention of the various surfaces we may use this system to clean, ie upvc and fascia cleaning in Fife and only recently we carried out a conservatory roof clean in Dunfermline, fife. Have a look at our images on this blog, to see for yourself how much of an improvement our hot water system made to this conservatory roof. Our van is kitted out with a diesel boiler supplied by www.grippatank.co.uk and is plumbed into our fuel system. When we want more or less heat, we digitally control this. 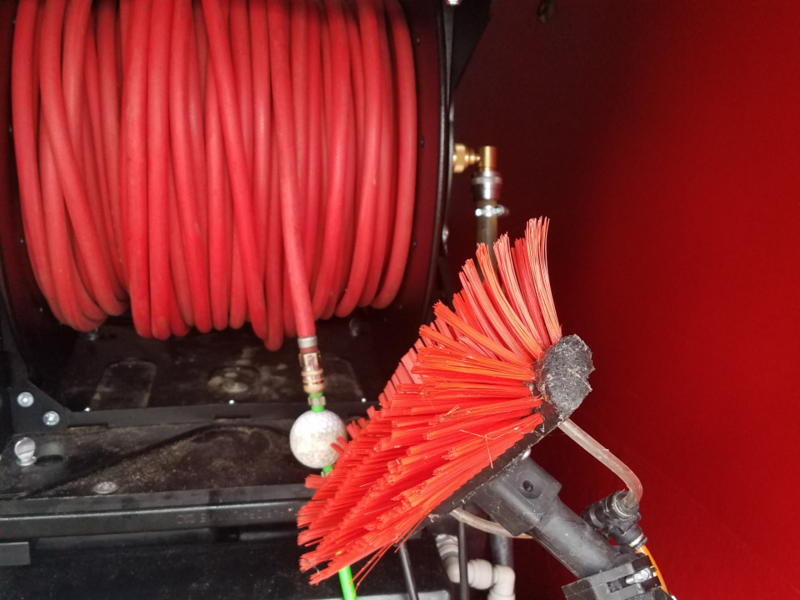 Not only does this allow us to clean a variety of surfaces easier but it also means less working days are lost per year due to cold weather and equipment freezing in the van. So How Is The System Used When Cleaning Windows? 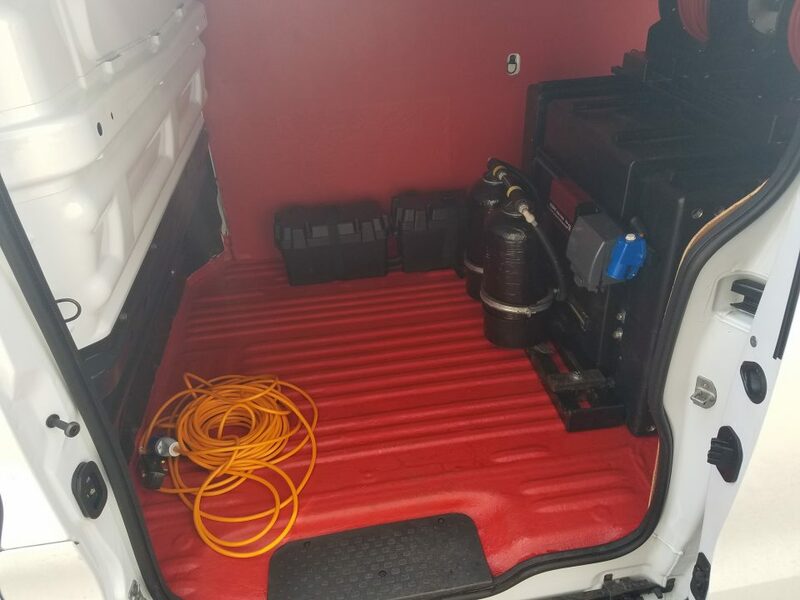 We have a twin DI vessel in our van, tap water is fed into these vessels and the ion exchange resin inside the vessels alters the particles that make up tap water itself, the alkaline particles in this resin remove hard mineral particles from the tap water such as magnesium. Our newly purified water is stored in a 500 litre tank in the van and heated before it reaches the glass, allowing us to guarantee a spot free finish on glass by using 000ppm (parts per million water) which has no trace of minerals and also when this is combined with the heated element we are enabling us to remove stubborn marks from glass and frames much easier.